Civilizations of this world rise, and civilizations fall, and the process has repeated many times through history. Even at the height of modern culture as we are now, we are not immune to the possibility. 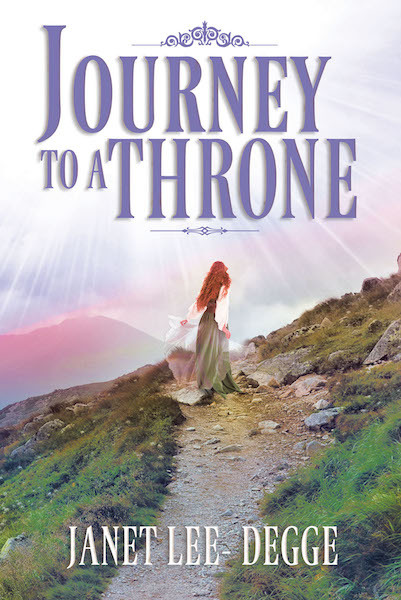 Journey to a Throne is a work of fiction about the human spirit surviving and thriving after such a collapse and a warning to us to avoid the fall in the first place. Journey to a Throne is a romantic suspense novel and takes place more than 1,500 years in the future, long after a global catastrophe. In a new Dark Ages, legends about the ancient people have spread everywhere. Civilization settled into a new normal. Leandra is the heir to the throne of a small country called Indiga. Her royal parents sent her away as a baby for her safety, and her adoptive parents took her far from Indiga and settled in a village called Jabethin. She grew up thinking she was a country girl named Brina. She is happy living a simple country life. Vail, a man from Indiga, travels to the small village of Jabethin on a mission concerning Leandra. He is attacked near his destination by a strange hooded man. Brina finds him in the woods and brings help from Jabethin. Keeping his mission a secret, Vail finds himself falling in love with Brina, not knowing she is Leandra. A man named Kerr is sent to bring Leandra back home because the king is dying. Someone doesn't want him to succeed and sends several men ahead of Kerr to various locations, including the man coerced into the mission against his will. When Kerr arrives in Jabethin, Vail finds out Brina is Leandra. Brina discovers she's heir to the throne in a distant country and is angry. Her life has been a lie, and now Kerr plans to take her away from the only home she's known. Kerr spotted the enemies planted to cause trouble on their return trip and realizes they must go home by a different route. They begin a perilous journey through a hostile land. Brina slowly accepts her destiny. Between his love for Brina and his mission, Vail doesn't know what to do and withdraws. Brina is troubled by the change in him. She thinks she knows what to expect in Indiga but finds danger and surprises.